A 16-year-old girl who was kidnapped from a private school in Darjeeling a few days ago was rescued from southeast Delhi's Govindpuri area on Monday night. Police said that a medical test has confirmed that the girl was sexually assaulted. The police came to know about the girl's whereabouts after she managed to call her parents from the abductor's cellphone. The girl could only tell them about a shop in the area that she could see from a window. She also said that the abductor was going to take her to some other place around 11pm. The information came to NGO Shakti Vahini which passed it on to Delhi Police. The call was traced and more than 40 teams were deployed to find the girl. On Monday night, the 16-year-old was rescued from an apartment. The kidnapper, identified as Sunil, was arrested from the scene. "The girl has told the police that she studied in Class X at a private school in Bagdogra near Darjeeling. In June, a classmate had introduced her to his sister. She said the youth's sister promised to get her admitted to a Delhi school and get her a job so she could fund her studies," said Rishi Kanth from Shakti Vahini. The girl was then introduced to one Yogender Kumar by the youth's sister. In her statement, the girl said that one morning she was on her way to school when Kumar dragged her into a car, after which she was probably drugged and brought to Delhi. Kumar then raped her. Sunil later told the police that they had planned to sell the girl to a dealer in Jaipur. 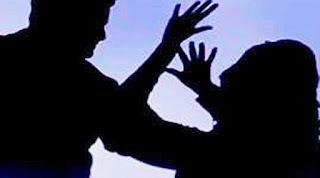 Kidnapped Bagdogra Darjeeling girl rescued sexually assaulted in Delhi, A 16-year-old girl who was kidnapped from a private school in Darjeeling a few days ago was rescued from southeast Delhi's Govindpuri area on Monday night.